Softball bounced back from a tough week against Emory, facing a dominant series against Brandeis with help from lights out starting pitching. Peanut butter and jelly. Fire and ice. Michael Jordan and Scottie Pippen. And after their phenomenal pitching performances, add second-year pitcher Ilissa Hamilton and first-year pitcher Sidney Brannam to that list of dominant duos. 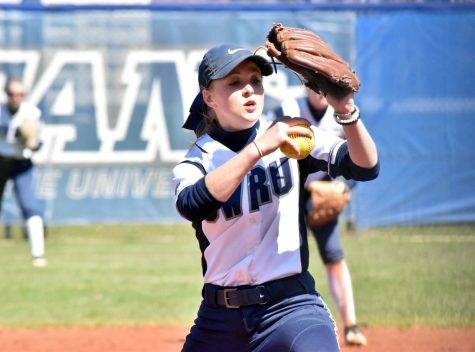 On April 6 and 7, the Case Western Reserve University softball team hosted their first games of the season at Mather Park against University Athletic Association (UAA) rival Brandeis University. The Spartans made light work of Brandeis, sweeping the four game series with ease. The story of the weekend was the lights-out pitching of Hamilton and Brannam. The two right-handers, who pitched all but one inning, allowed only two runs through all four games. Their arms were hot even when the weather was a brisk 30 degrees all weekend. “My mindset going in was making sure to limit their hits, and when they did get a hit, let that go,” Brannam said. Hamilton’s repertoire of pitches was untouchable during both of her starts. In the first game on Friday, Hamilton pitched a complete game shutout and gave up a mere four hits with four strikeouts in the 8-0 win. 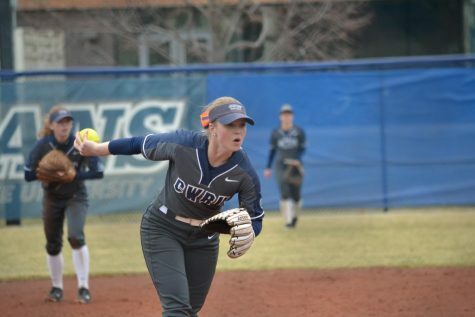 She followed up that exceptional performance with another complete game shutout on Saturday, again only allowing four hits and striking out eight. 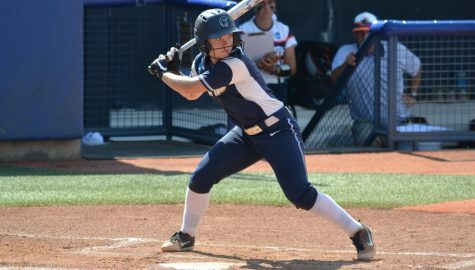 Hamilton wasn’t just a beast on the mound, though; at the plate, she launched a home run over right center field in the second inning, contributing offensively in the 5-0 win. Brannam, in the second game on Friday, gave up one unearned run and four hits in her complete game win, 3-1. On Saturday, she pitched four of the five innings, allowing one run and four hits. Fourth-year pitcher Katie Dzierwa closed the game to give the Spartans a 12-1 win. The Brannam-Hamilton combination has proven to be stifling all year for opponents, but their games are uniquely different. Even though this is noticeable when watching the game, the statistics confirm what Buford said. Hamilton is second in the UAA in strikeouts with 68 this season, while Brannam is fourth in earned run average at 2.31. Brannam is second in wins with eight and Hamilton trails her teammate by one win and is third in conference. 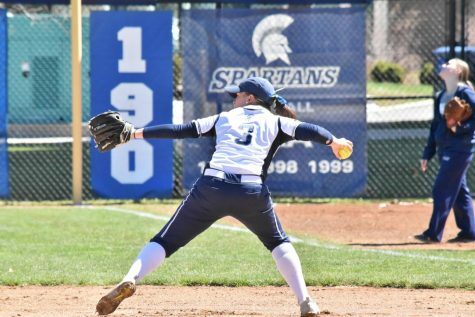 While Hamilton has a knack for getting hitters off-balance with her off-speed pitches leading to strikeouts, Brannam’s strength is relying on her defense to make plays behind her. Her pitching style forces a lot of ground-balls and routine fly-balls, which allows the defense to showcase their fundamentals. “Teamwork makes the dream work,” first-year outfielder Gretchen Weiss said with a laugh. While the team did perform exceptionally this weekend, the Spartans struggled against Emory University last weekend, losing all four games. Henry said that she shifted the focus of practices after Emory, deciding on more competitive drills and less skill development. 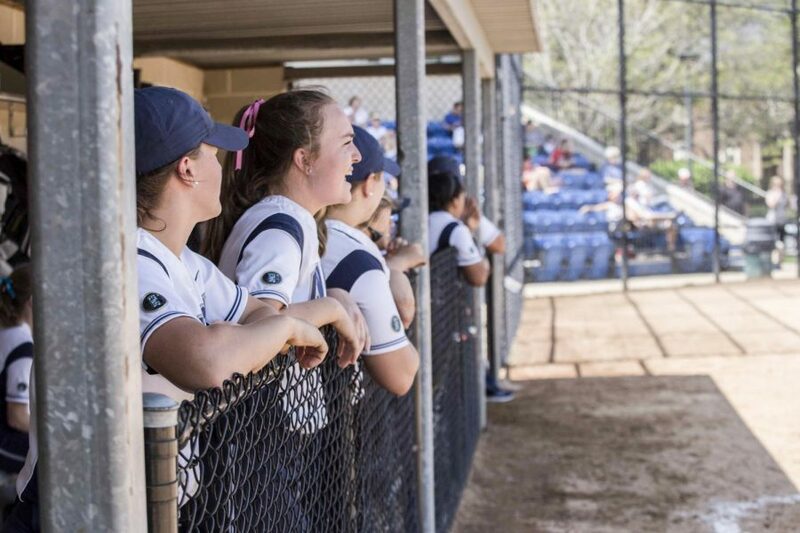 The Spartans did just that against Brandeis, one of the team’s biggest rivals in softball. “One bad series definitely does not define this team, but the way we responded to it absolutely does,” Hamilton said. The series against Brandeis was also the first home games of the year for the Spartans. Besides Brannam and Hamilton, many other players shined on the home field. Fourth-year center fielder Katie Wede made great play after great play in the outfield. 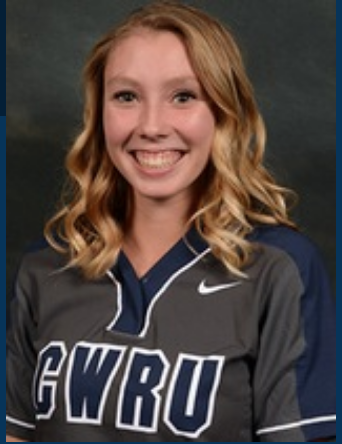 First-year third baseman Sarah Miller looked solid fielding and launched two home runs on Friday to lead the team offensively. And as a team, the hitting was spectacular, especially in the bottom of the fourth of the final game of the series. 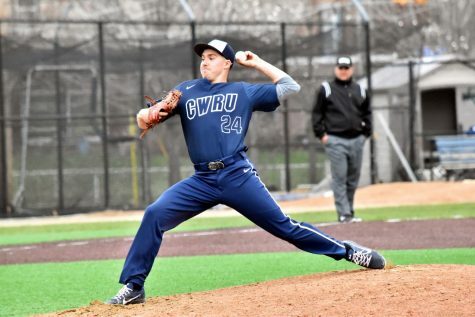 The Spartans pounded on eight runs, thereby ending the game in the next inning by run-rule. Next up for the Spartans is another UAA series on the road against New York University on April 13 and 14. “If we all go in with a mindset like we did this week, and produce pitching-wise and hitting-wise, I think we’ll be successful,” Brannam said.